Many authors I work with find the topic of ISBN numbers quite confusing. So in this article, I’m going to share with you everything you need to know about ISBNs. I’m also going to debunk a few common myths about them. Let’s start right at the beginning. ISBN stands for International Standard Book Number and is a unique numeric commercial book identifier. They are used for the ordering, listing, sales and stock tracking of one‐off publications worldwide. David Whitaker first developed it in 1967 in the UK. This early configuration was only 9 digits long as it was adapted from the Standard Book Numbering system developed by Gordon Foster, 2 years earlier. In 1970, the ISBN system was adopted by the International Organisation for Standardisation (ISO) and was published as an international standard as a 10‐digit format. 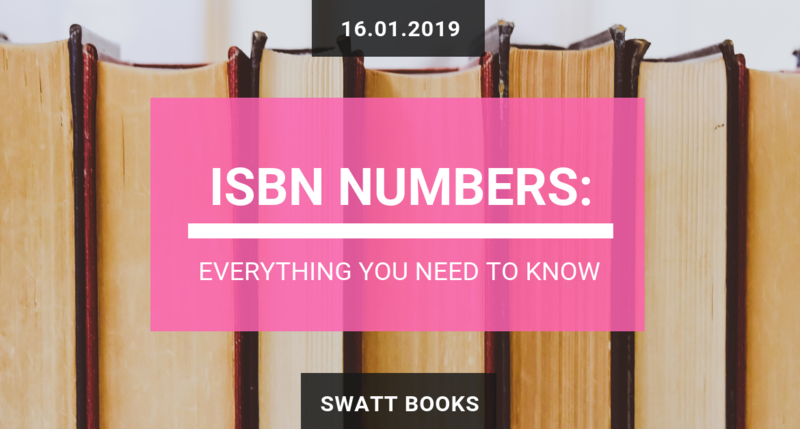 In 2006 the ISO anticipated a shortage of ISBNs due to the rapid growth of the publishing industry and in January 2007 introduced the 13 digit ISBN number format. EAN Prefix: currently either 978 or 979. This component makes ISBNs compatible with international barcode standards as set by GS1. Registration Group: this component identifies the country, region or territory in which the title was published. Registrant: This identifies the publisher or imprint responsible for the title. Publication: this is the number assigned to the particular edition and format of a specific title. Check Digit: this is a final single digit that is generated from a mathematical equation. It validates the ISBN and helps to prevent fraud. Currently, ISBN’s are monitored and controlled by the International ISBN Agency who issues ISBNs to national ISBN agencies for distribution within their region or territory. More about them shortly. If you plan on selling your book through any form of retail channel then you need to have an ISBN number. Though it is not strictly speaking a “legal” requirement, nearly all bookstores and retail outlets are run using an electronic point‐of‐sale system of some kind. These systems are reliant on ISBN’s and machine‐readable barcodes in order to work. If your book does not have an ISBN then they will not be able to sell it. It is also worth noting that the majority of authors will require multiple ISBNs for each book they publish. 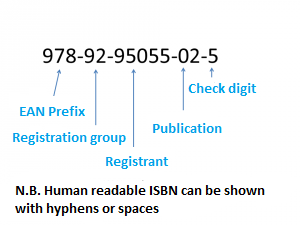 Because an ISBN number is assigned to each edition of a book, you will need a separate ISBN number of each edition. For example, if you plan on publishing a book as a paperback, an eBook, and a limited edition hardback, then you will need three separate ISBNs. Correct use of ISBNs allows different editions of your book to be clearly differentiated. This ensures that a customer receives the version they requested. ISBN’s facilitate the compilation and updating of book‐trade directories and bibliographic database. Meaning that information about your book can be easily found by retailers interested in stocking your book. The ordering and distribution of books within the book trade are executed by ISBN number. This is the fastest and most efficient system. The accumulation of sales data is done by ISBN number. This enables the varying success of different formats and editions to be monitored and compared. National lending right schemes in most countries are based on ISBN. Now that we have established that you need at least one ISBN number, where do you go to get them? Firstly you need to register as a publisher or self‐publishing author with the national ISBN agency for your region or territory. The ISBN agency for the UK is Nielsen Book Services (http://www.isbn.nielsenbook.co.uk), and in the United States, it’s RR Bowker (http://www.isbn.org/). A full list of every national ISBN agency is available on the International ISBN Agency website (https://www.isbn-international.org/agencies). 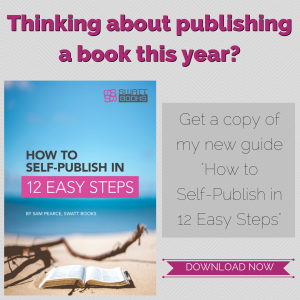 Once you have registered as a publisher, you will be assigned a Registrant Code. After that, you will be permitted to purchase ISBNs in singles or batches of either 10, 100, or 1,000. It is advisable to keep a record of your ISBNs and update it regularly with the titles you have assigned to each number to avoid duplications. I also recommend keeping track of which ISBNs you have submitted metadata records for to the ISBN database. As mentioned previously, one of the purposes of the ISBN format is to power electronic point‐of‐sale systems. In order for this to work, your ISBN number needs to be encoded into a machine‐readable barcode. That barcode needs to be clearly printed somewhere on the back cover of your book. There are a number of free online barcode generators available. If you are going to publish your book through Ingram Spark, their cover template service includes the generation and placement of your ISBN barcode. This ensures 100% compatibility with most point‐of‐sale systems. It also takes the hassle out of making sure your barcode is machine‐readable. Lets set the record straight in regards to a number of common myths I hear about ISBNs. Myth #1: You need to renew ISBNs regularly. I have seen a number of “less reputable” online publishers try this on with unsuspecting authors, This is categorically not true! ISBNs never expire; not even if the publisher who owns them goes out of business. Once you purchase a set of ISBNs, they are valid for life. Myth #2: An ISBN number is an assertion of copyright. According to the absolute letter of the law, no, and ISBN number does not represent ownership of copyright. However, submitted a listing to the international ISBN database does acknowledge the ISBN owner as the publisher of record for that particular format and edition of that book. This can greatly aid any argument against a breach of copyright case that is brought to court. But remember that ISBNs are assigned to a particular format and edition of a book, and not to the book as a whole. That is governed by Intellectual Property (IP) regulations, which is an entirely different kettle of fish. Myth #3: ISBNs cannot be assigned to eBooks. This myth stems more from confusion surrounding ISBNs and eBooks more than anything else. Because eBooks are digital content, they have no stock value and do not need to be scanned by a point‐of‐sale system in order to be sold. Therefore they don’t technically need an ISBN number assigned to them. When publishing an eBook directly through Amazon (Kindle) they will assign it an internal reference number or ASIN (Amazon Standard Identification Number). However, that ID number is only for use within the Amazon system. This means that no one else will be able to stock your book, or even know that your eBook has been published. So I highly recommend that you assign an ISBN number to your eBooks as well as print edition books. It allows you to take full advantage of the benefits that the ISBN identification system has to offer. So there you have it, everything you need to know about ISBNs. If you have any questions about ISBNs and how they apply to you as an author, please let me know in the comments section below. And don’t forget that if you don’t want to have to bother with all of this stuff at all, my all‐inclusive publishing package includes the purchase, registration, and application of ISBNs to your book. 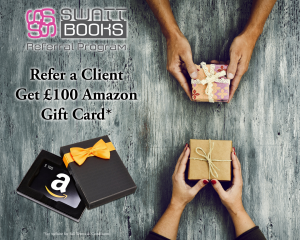 Click this link to find out more (https://swatt-books.co.uk/services/publishing-package).